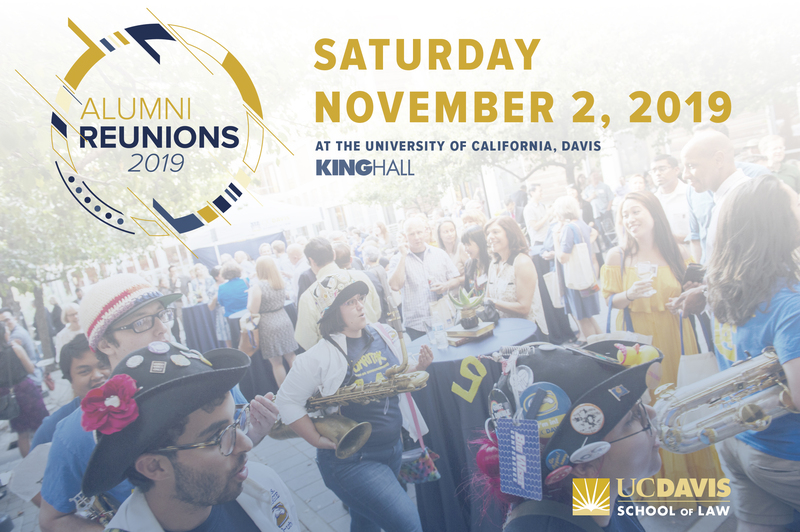 Come back to King Hall to renew old friendships, celebrate classmates’ successes, reminisce with faculty and others about your time at King Hall. Parking Information: Parking is available at the UC Davis Mondavi Center parking structure ($9). Tickets can be purchased at the ticket kiosks at the entrances of the lot. To be sure we have your current e-mail address, go to the Alumni Directory to update your contact information.